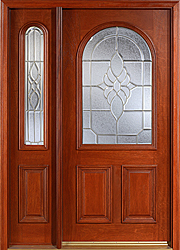 Main Door Corporation has combined Old World craftsmanship with state-of-the-art computerized woodworking. 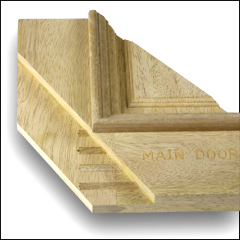 Our high-tech machinery, allows us to be fast, accurate and efficient. 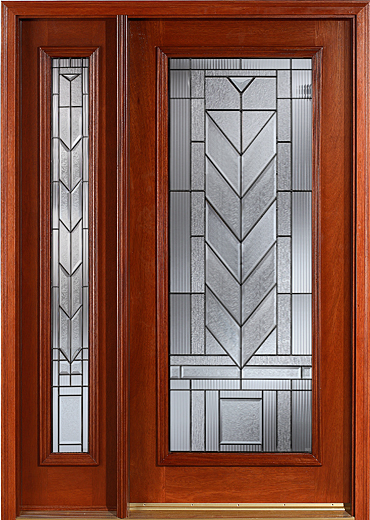 Our rigid adherence to the art of hand crafted and hand assembled beveled glass panels keeps us true to our time honored traditions. 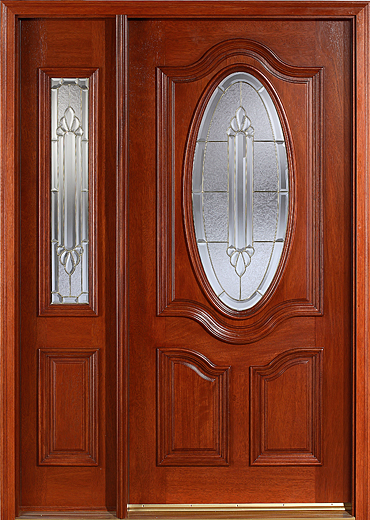 Together we are able to create a collection of fine quality, high precision, and hand finished classic entrance doors and sidelites and all of this at very affordable prices. 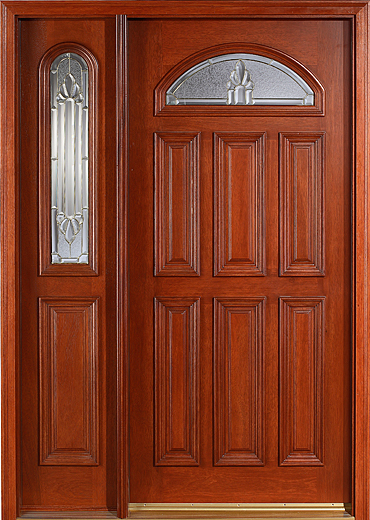 Whether you choose Interior Mahogany Type, Mahogany Type, American Red Oak or our very popular Rustic collection, every door that we sell is precision milled and hand finished. 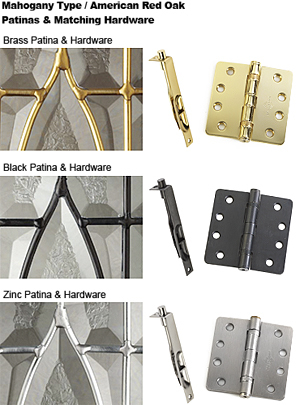 Solid Hardwood Stile and rail construction reinforced with dowels using type-I exterior glue. 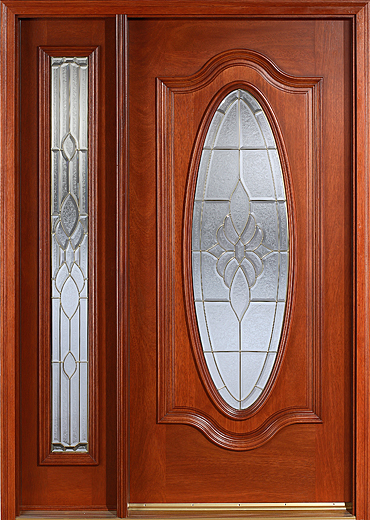 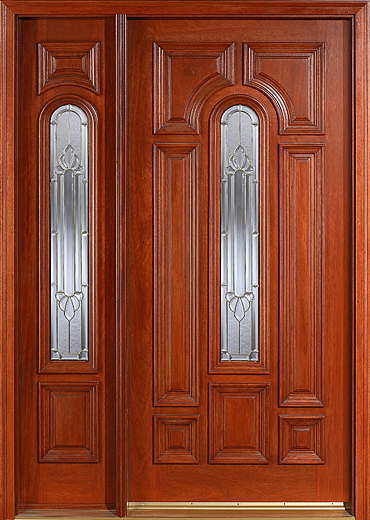 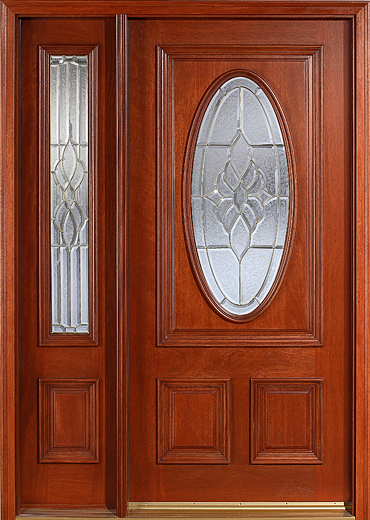 All Mahogany Type doors and sidelites with floating solid wood panels and raised moldings on one side. 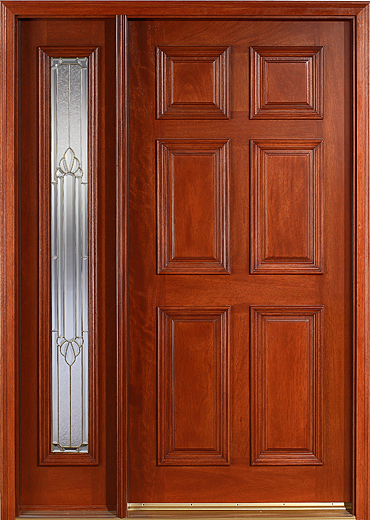 We offer eleven standard finish options for the Craftsman Door Collection: Cherry, Walnut, Golden Oak, Espresso, Antique, Unfinished, Blue, Green, Red, Grey, and White Wash. 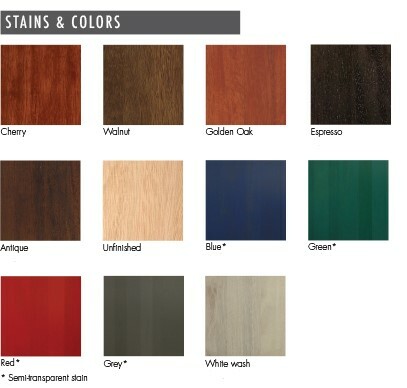 Custom stain finishes are available, upon signed approval of wood color sample (maximum two at no charge). 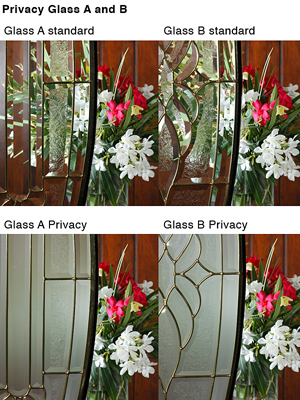 Because of the inherent vagaries of photographic and printing processes, finished products may vary from samples shown. 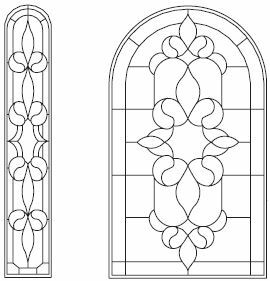 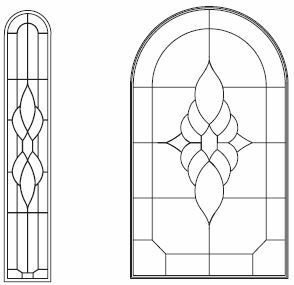 Hand beveled triple glazed glass panels offered in two designs (except SH-559) and three different caming options, meeting or exceeding requirements of the consumer product safety commission. 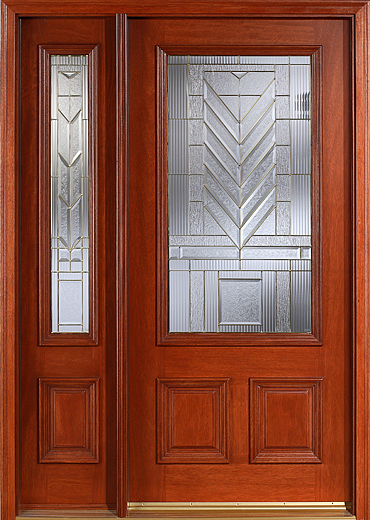 Our standard glass effectively obscures direct viewing at approximately 50-80% obscurity. 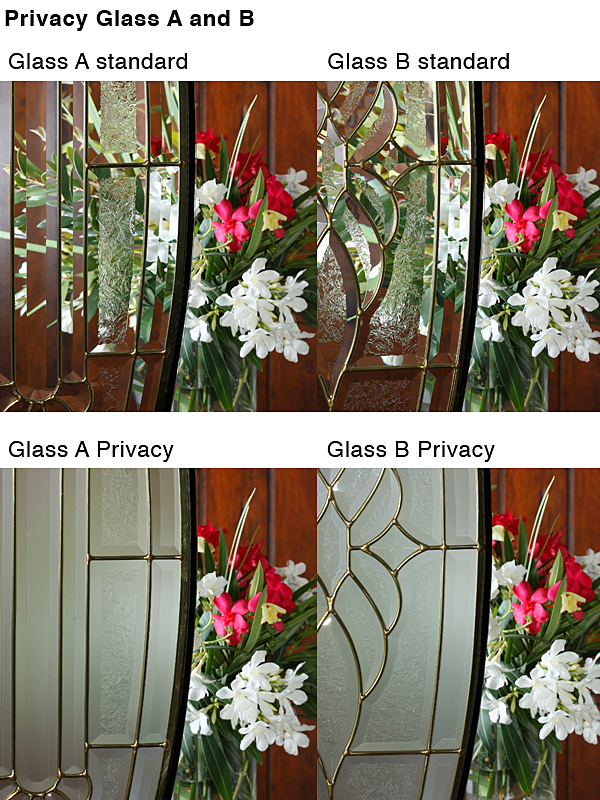 If more privacy is desired you have the choice of selecting our privacy glass versions with a 100% obscurity sandblasted treatment (sandblasted not available in zinc).